Fun, Easy and Delicious!! 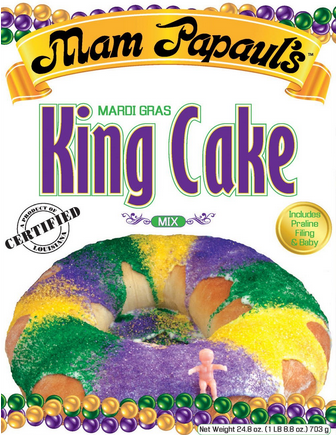 Continue the Mardi Gras tradition with your family and friends. 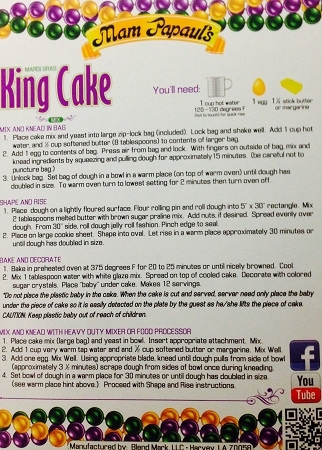 This colorful cake has a praline filling and even comes with the baby! Serves twelve.